Tarek Elgawhary is an entrepreneur, teacher, and philanthropist. His for-profit hours (the majority of his time) are spent advising the Coexist Corp where he is an early investor as well as running Coexist Research International where he provides proprietary research and analysis for clients. He spends his non-for-profit hours in a wide array of organizations he is passionate about. The underlying goal of all these enterprises is to capitalize on the goodness of humanity in its vast diversity and get people working, learning, and thriving together. Tarek firmly believes that it is in these collaborations that we can help unlock the creative power of the human spirit. Tarek’s path to all of this was a bit unorthodox. He spent his formal education in the space of comparative religions. He focused on Judaic studies in his BA years, Islam-Hinduism for his MA, and contemporary Islamic law for his Ph.D. at Princeton University. Tarek followed this up with five years at al-Azhar Seminary in Cairo, Egypt where he took a deep dive into theology and spirituality. (Yes, he actually went to a seminary and he often describes this experience as stepping into his own Diagon Alley and going to Hogwarts for five years). While Tarek always had an interest in the deeper quests of knowledge, the entrepreneur bug also bit him early on. Tarek formed an international communications company during his graduate years and through this was able to gain a front-row seat to the enormous challenges of cross-cultural communications. This business venture would become the beta-ground for the Coexist group of organizations. 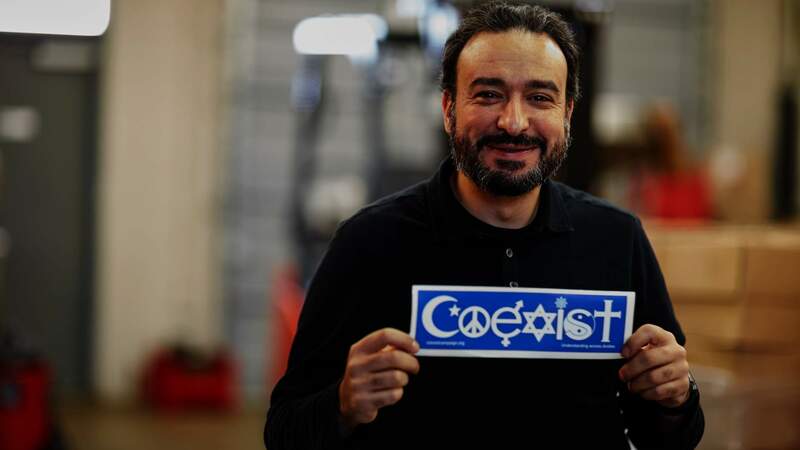 Tarek’s true passion was unleashed through the Coexist Foundation and subsequently the Coexist Corp. Currently, Tarek spends his time between running his business, teaching, and lecturing, and giving back through the various charities he is involved with.